You have a style that is all your own. Your relationships are also unique as well. 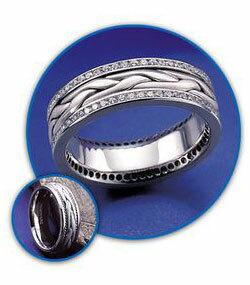 What better way to show your individuality and love than by designing your own wedding band? Novell Design Studio will help you create a one-of-a-kind ring that is just as expressive as the love you have for each other. 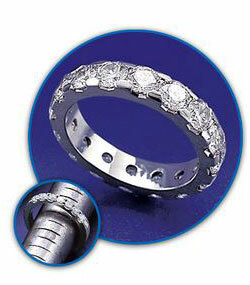 All Novell wedding bands are made to order. 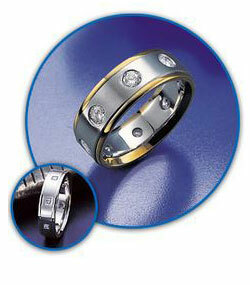 The unbreakable bond between a man and woman is demonstrated with durable precious metals and everlasting diamonds. 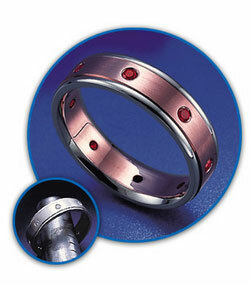 All our rings can be specially manufactured in platinum, 18kt gold or 14kt gold (in white, yellow or pink). You can add special decorative finishes, diamonds and colored stones to almost any style. Or you can combine features from several different designs into a brand new look. Our manufacturing flexibility ensures that no bride or groom has to settle for what's in our showcase or on the catalog page. Novell takes great pride in our ability to meet your personal desires. All you have to do is visit one of our nationwide authorized retailers and tell them what your vision is. We'll take it from there. Together, we can make your dream ring come true. This "Big Guy" from Houston, Texas loved our style number P1766-6GCC, but he wanted it super sized to include 15-point round diamonds. We made it wider, and accommodated his request for 18kt yellow gold edges. An inventive consumer in Northern California wondered if we could remove the twisted inserts from our style MAX3074-8GCEW and rework the edges to include 2-point diamond channels. Voila!!! Can we make our style number P1703-3LC with bigger diamonds going all the way around? That was a request from a very well known retailer in NYC. How about the endless row of 1/5 Carat rounds that this customer selected as their final choice? This is one of our personal favorites. This girl from Minneapolis wanted to make her fiancé a wedding band that included her Grandmother's rubies. She picked our style P1683-6GCC and changed the center metal to rose gold. Did he like it? Only his jeweler knows for sure!